A new poll suggests there is at least one fellow Republican who could unseat U.S. Sen. Ted Cruz in 2018: Rick Perry. 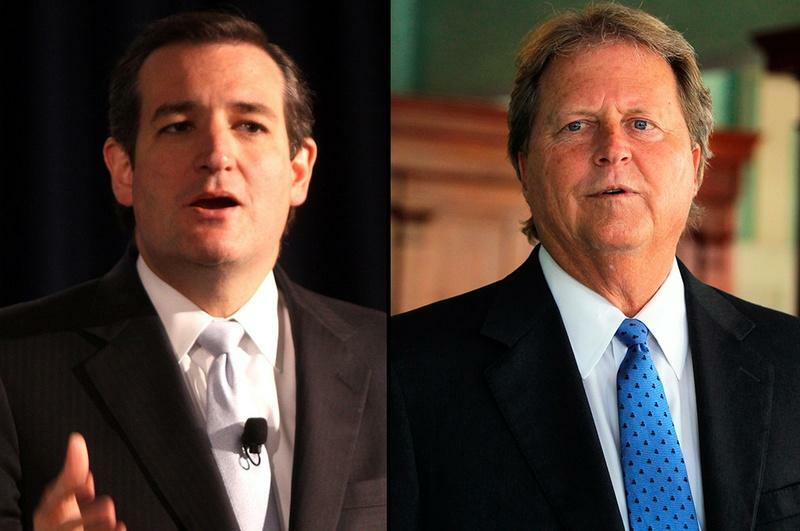 The former Texas governor would beat Cruz by 9 percentage points, according to the forthcoming survey from the Democratic-leaning firm Public Policy Polling. 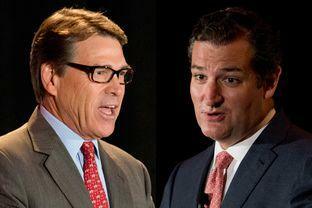 Set to be released later today, the poll found Perry would get 46 percent of the vote and Cruz 37 percent, with 18 percent saying they are not sure whom they would support. 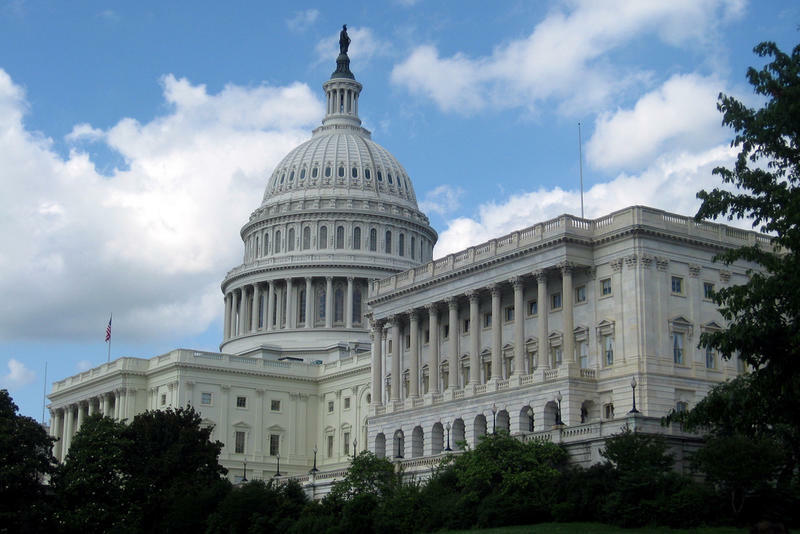 The Senate has voted to extend the federal debt limit, giving final congressional approval to a bill that is meant to cover the government's finances into 2015. The measure passed on a 55-43 vote. But the most dramatic phase of the legislation's passage came just before the final tally, when it had to get past a cloture vote. 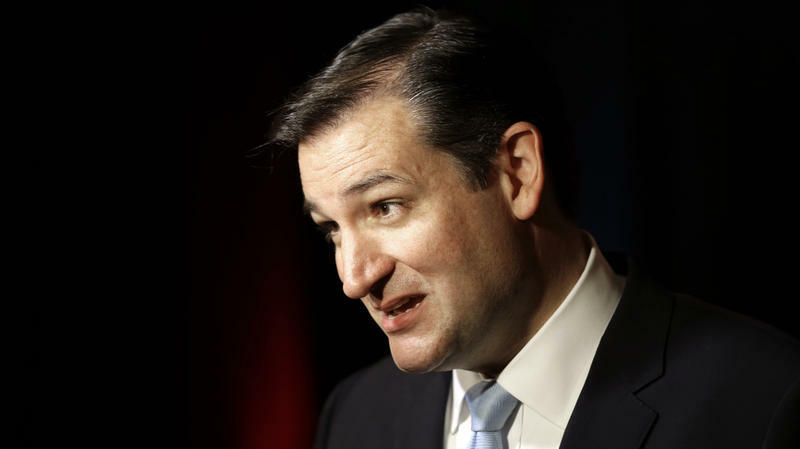 Politico says, "Texas Sen. Ted Cruz (R) demanded the 60-vote threshold on the debt hike." The Senate has defeated a Republican measure that would have blocked implementation of a "path to citizenship" for undocumented workers until after the U.S.-Mexico border has been deemed secure for a period of six months. The amendment to the larger overhaul of U.S. immigration law was sponsored by Iowa Republican Sen. Chuck Grassley. It was defeated Thursday in a 57-43 vote. 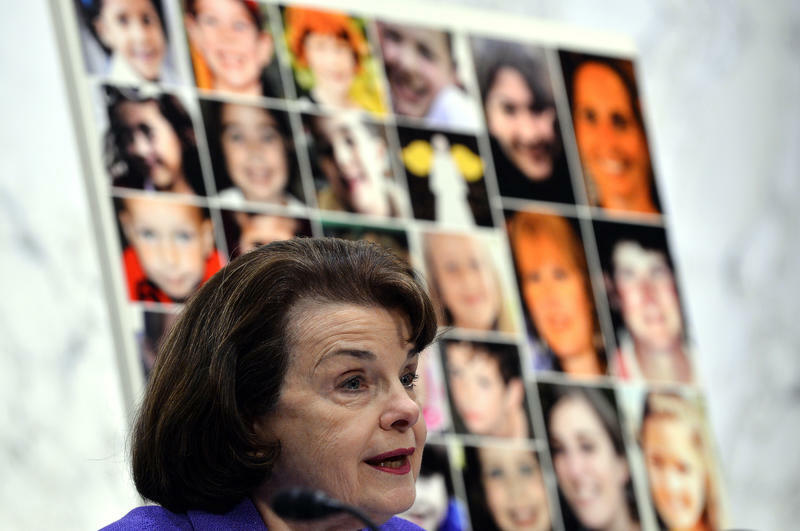 Earlier today, the Senate Judiciary Committee approved legislation banning assault weapons and high-capacity ammunition clips. After more than a decade representing blood-red Texas in the U.S. Senate, John Cornyn finds himself in an unusual spot: burnishing his conservative credentials. One would think the senior Texas senator’s reputation would be secure: Cornyn, who has ascended to minority whip, spent two election cycles as chairman of the Senate’s Republican campaign fundraising arm, and National Journal last week ranked him second in its 2012 list of the most conservative senators. Sen. Ted Cruz has been on the job seven weeks, and in that short time he’s made a big splash in Washington D.C. Speculation about the dynamic freshman legislator is blistering the blogosphere, and many are wondering if the Republican Party can control Cruz. Sen.-elect Ted Cruz of Texas is a bright young Hispanic star who will be sworn in this week in Washington. The Republican Party nationally hopes Cruz will be part of the solution to its growing problem luring Hispanic voters. Almost nobody had heard of Cruz when he began his campaign for the U.S. Senate. But when he stepped in front of a microphone, he could light up a room in a way that made the other Republican candidates seem lifeless. 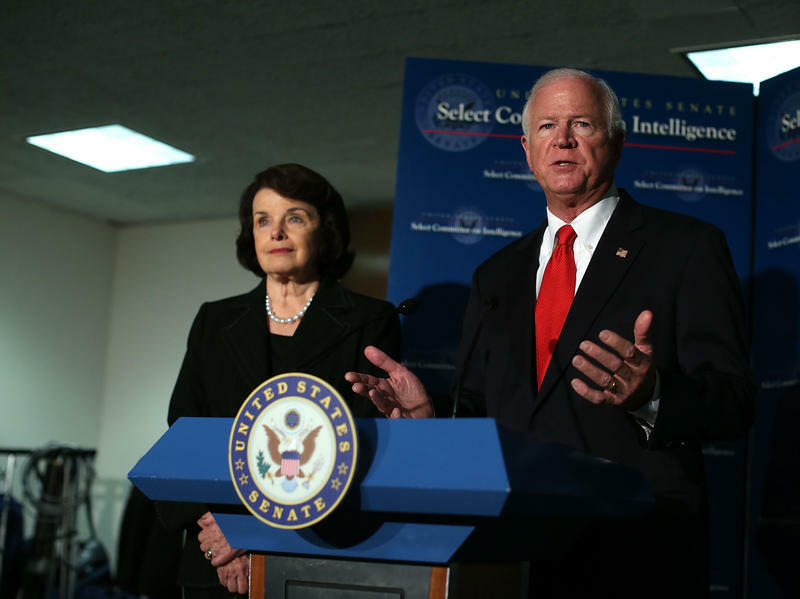 In a closed-door meeting Thursday, lawmakers will consider whether to approve a secret report that chronicles CIA detention and interrogation practices — including methods that critics have compared to torture. That report — along with the release of a new movie about the hunt for Osama bin Laden — is rekindling an old debate about whether those methods worked. Republican Ted Cruz and Democrat Paul Sadler held the first of two planned debates in their battle to represent Texas in the U.S. Senate last night. The debate, held in Dallas at WFAA, touched on healthcare, immigration, federal spending, foreign policy and taxes as the candidates repeatedly tried to out-lawyer one another. Cruz repeated his assertion that he would work to repeal the Affordable Care Act if elected, stating that the law puts the United States on a path toward socialized medicine. He stated that socialized medicine leads to low quality, inefficient medical care. 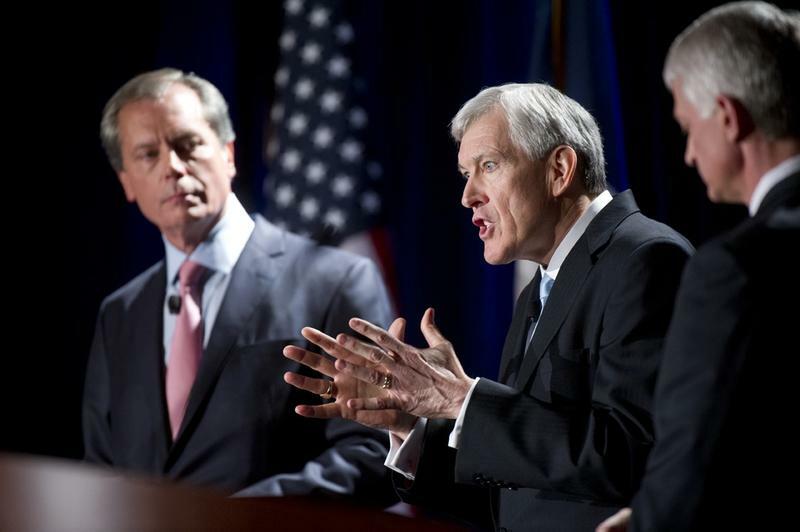 Sadler countered that Cruz’s position would put Texans at risk by allowing insurance companies to deny or limit insurance coverage based on preexisting conditions, and would leave many young people currently on their parents’ insurance plans without coverage. Regarding immigration, Sadler stated that he supports a pathway to citizenship for illegal immigrants. Cruz opposes such a pathway and wants to put an end to illegal immigration. A suggestion by a Univision reporter that Lt. Gov. 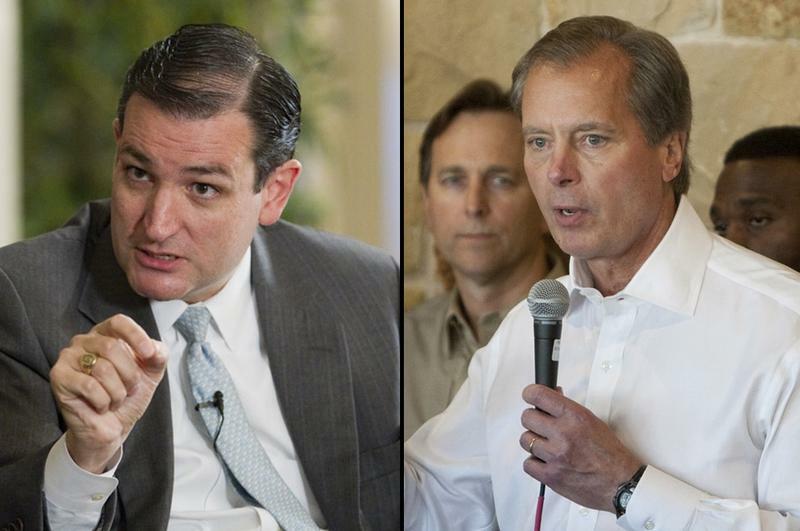 David Dewhurst and former Texas Solicitor General Ted Cruz debate in Spanish has taken on a life of its own. Though neither of the two U.S. Senate candidates in the July 31 Republican primary runoff are actively working to organize a Spanish-language debate, the idea has gained attention from national media and sparked erroneous reports that such an event is actually in the works, a claim both campaigns deny. 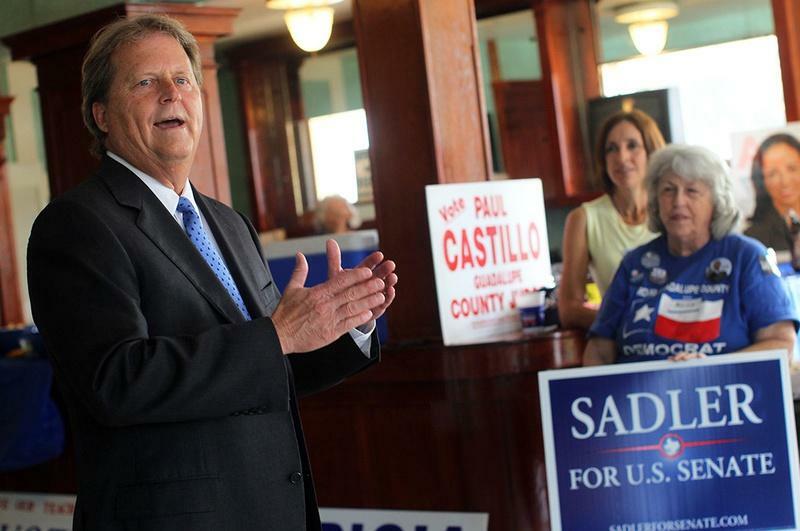 According to Univision reports posted online last week in Spanish and English, Dewhurst "has challenged Cruz, the Cuban-American attorney and Tea Party favorite, to a debate in Spanish." 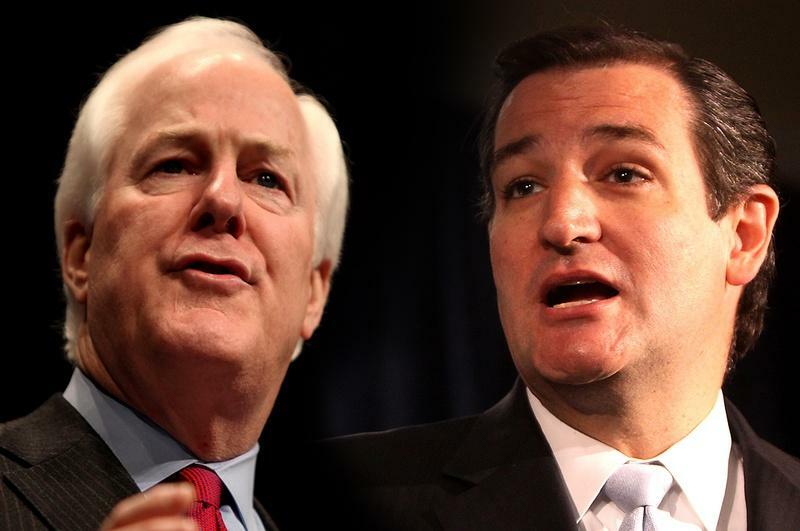 The Republican skirmish for the U.S. Senate nomination isn’t any anywhere anytime soon. With 63 percent of precincts reporting, Lieutenant Governor David Dewhurst is stopping short of the 50 percent plus one vote needed to avoid a runoff. He currently has 46 percent of the vote, or 499,817 votes. Former Texas solicitor general Ted Cruz is second in a nine candidate field with 33 percent, or 359,177 votes. 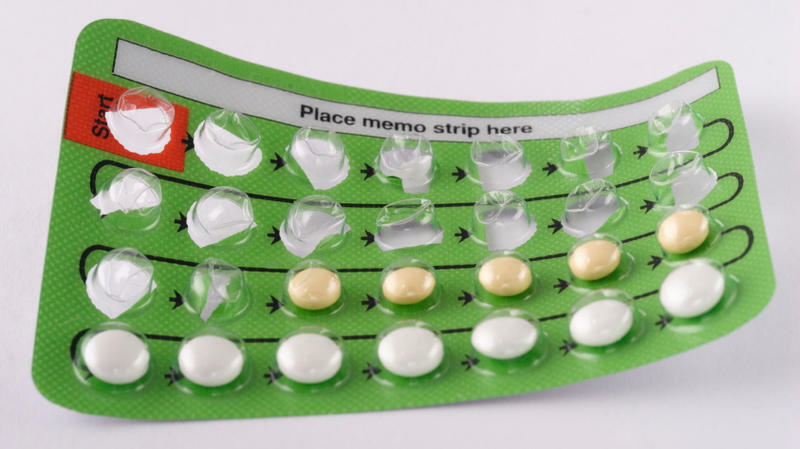 The Senate has turned back an attempt to kill President Obama's new rules requiring most health insurance plans to provide contraceptives without additional cost. The 51-48 vote against an amendment to an unrelated highway bill (Yes, that's just how the Senate works) was mostly along party lines. The federal government — and the Obama administration in particular — were the targets of four Republicans running for the U.S. Senate at a business group's candidate forum this afternoon. 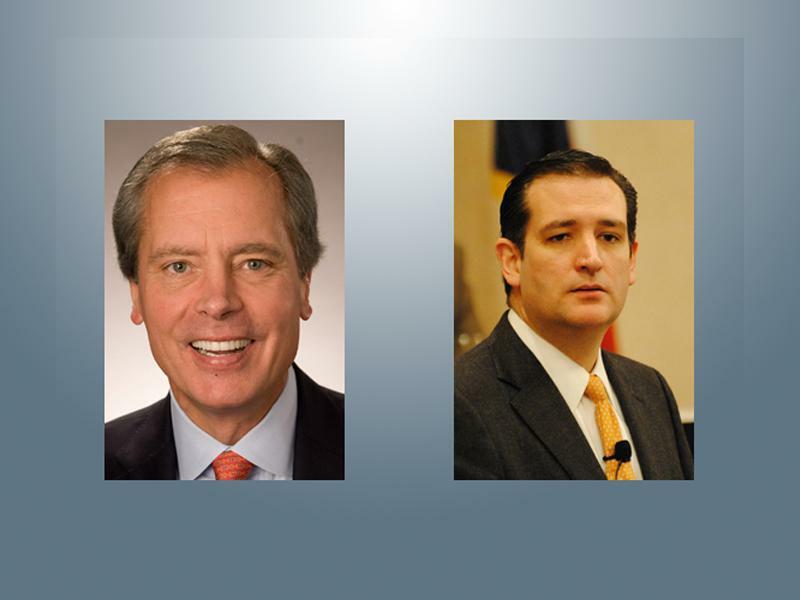 Ted Cruz, David Dewhurst, Craig Jamesand Tom Leppert talked for about an hour at a Texas Association of Business conference in Austin. 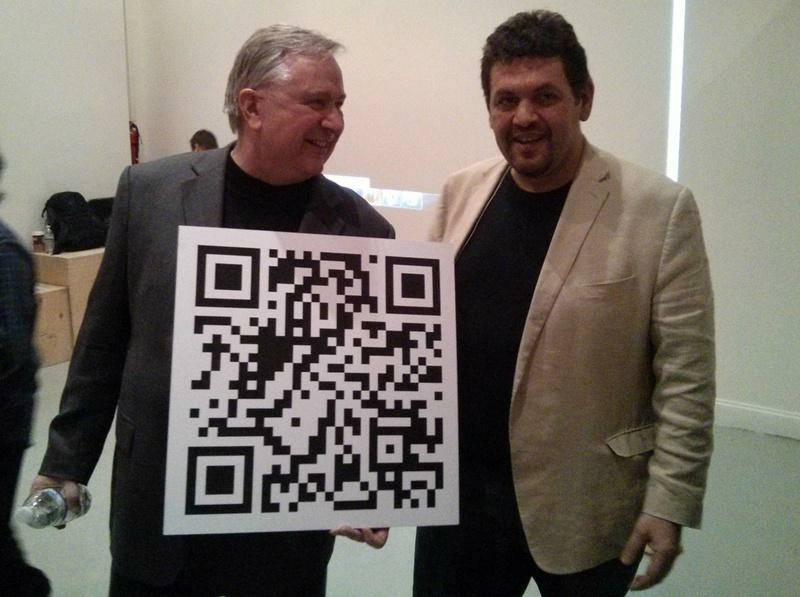 They agreed on several points during the forum. If you had just touched down in Texas, you might have thought the candidates were running for president, or that President Obama had moved to Texas to run for Senate. Cruz said the election is about two questions: "Will the next senator from the state of Texas be a strong conservative? And No. 2, will the next senator from the state of Texas be a fighter?" David Dewhurst really wants you to know that he’s ready to cut government spending. The Texas Lieutenant Governor is running for the U.S. Senate seat being vacated by Kay Bailey Hutchison. And his new TV ad mentions cutting spending three times in a mere 30 seconds. “We’ve got to cut spending. We’ve got to prioritize. We’ve got to choke down government,” a buttoned-down Dewhurst says the spot on top of video of him walking through the Texas Capitol and talking to people. The final three seconds of the commercial show Dewhurst in his rancher's gear – jeans, big belt buckle and blue collared shirt – walking with his wife and daughter down a country road with a horse in tow. 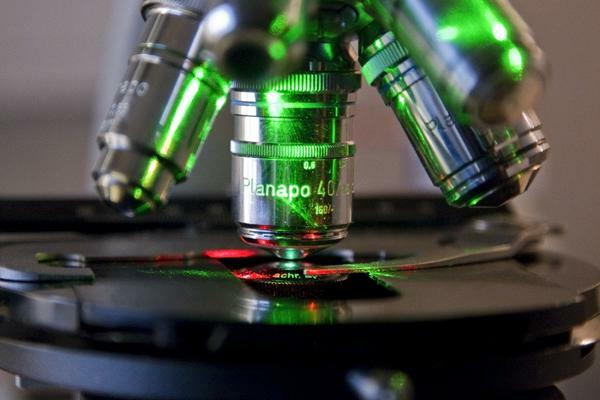 Update: Because the Azimuth poll targeted registered Republicans and “highly aware” GOP voters, questions have arisen over its scientific accuracy.” This kind of polling is generally considered less accurate and more partisan and may have skewed results. 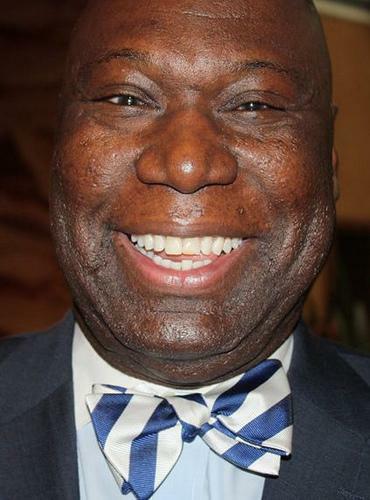 Texas Railroad Commissioner Michael Williams told The Associated Press he’s planning to resign from his current position April 2 to enter the 2012 race for the U.S. Senate.